For ease this small post will only cover whitewater kayaking – not because I’m not interested in sea or polo, canoe or sup, but simply down to space. It’s just a few pin points on the time-line of our sport. It’s a map with clues for those that don’t know the links, it’s time for you to do some research, time to know your history. Looking at our roots, from the humble canvas and wood to the evolution of glass fibre and then the once deemed dangerous plastic these moments are easy to see but it’s those that pioneered, masterminded, patrolled the maps and waterways that matter for this part. For me my icons, the ones that are revolutionaries as far as I see; we can count on our hands, as for our toes, these are the rest just advance the game with the new changed rules. It is a cold twisting snake of a river, a lone Doctor, launches in. Having to trust his own judgement and the skills he has only picked up, self taught, a short time earlier. 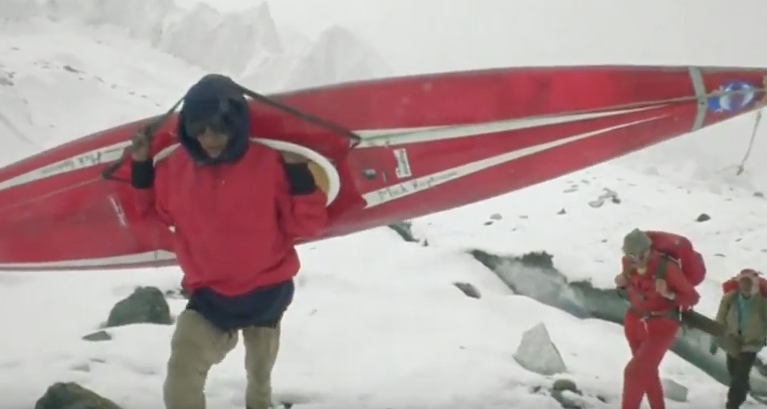 In this one moment on the Alsek in the 1970s did Walt Blackader conceive a new style of river running. Around the same time a group of student Brits were taking on the mighty Himlayan rivers, wild rides in Ethiopia and much more. These guys even looked like revolutionary activists with long hair and wispy beards. The one that set the plans in motion another Doctor. 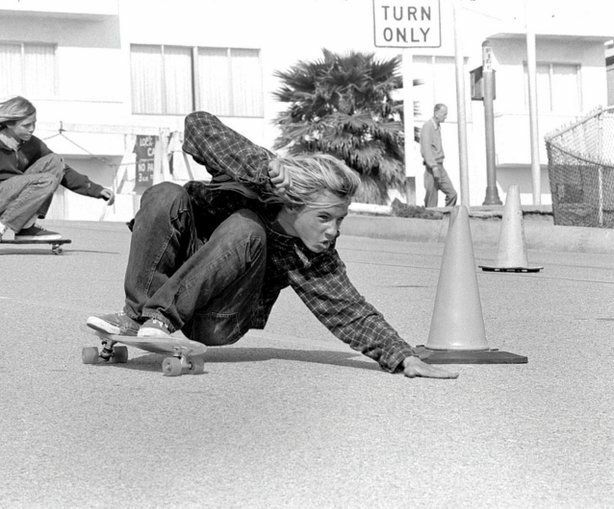 It is without a doubt that Mike Jones and his friends were and still are influential to those that choose to explore. As many were exploring the rivers in this way one bunch, a psychedelic band of funsters, in skimmed slalom boats started probing the third dimension, the never ending charc. In the Eastern block crazy tube rides were making a decisive ‘book of legends’. This was a time of great developments, of not accepting boundaries, not about stretching them but ignoring them – does this still happen? We have the waterfall paddlers the ones who fall from new heights, perhaps its the cult of the 21st century kayaker– is that ground breaking or an evolution of those in a barrel rolling off snake falls or Niagara? I cannot decide. Lets look at the world of Freestyle kayaking now stretched from its humble hotdogging days, (what a crazy ill fitting name) to a dynamic sport scored and with rules, where moves are only ever simple evolutions of previous moves – not now ground breaking in the same way that, in the mid 90’s Ocoee world championships, when we saw retained, what we then called ‘loops’, cartwheels and retendos for the first time. The Yanks had this dialled in tight as the European paddlers were still busy doing paddle spins, juggling and just about holding on without paddles. A large Mohawk haircut and a recent waterfall descent dressed as batman plus USA Olympic trained paddlers, the rest of the world could only sit and watch in awe – German Jan, still fighting in a boat hastily chopped and taped together the night before. From small holes to waves the sport grew – Then we saw that same batman costumed punk spinning on a green wave, but was it new? Hadn’t that been done on the ocean a few decades before, way before as a fact, then the grand prix and stakeout stretching the perceptions. Boat and gear designs move on allowing the dreams to come to light. At each tug of a new charc a sprinkle of glitter and the smell of resin, volume was changed and new depths were sought. It came quickly, some would say, although we had been on that evolution arc for some time. Since the Hollowform riverchaser, Perception Mirage or the concepts of the Noah Jeti and more. PFDs moved from the bulky to the slimline, helmets from rudimentary bowl cuts to state of the art protective pieces. Paddles from the huge to the evolved carbon and foam core we use today. Our sport is still moving forward. Like the river itself it keeps flowing. After the potted history, the clues and the links I will put below some other historic moments and the folks that styled them, in my humble opinion, these are for what it’s worth quite unique Del Mar style moments. They appear in no order. I’m also prepared to accept others have a different understandings. 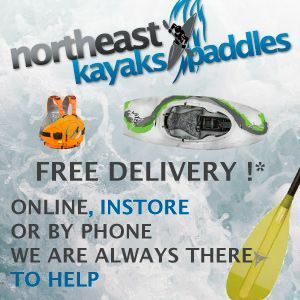 So please readers add some more highlights in the comments, look at our history, we are so bad as a community for cataloguing our achievements that it would be amazing for each of us to have our own favourite Del Mare moment for the history of kayaking – unique, different, game changing. 1) The simplicity of Nealy and the generations of understanding. 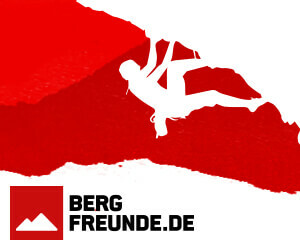 4) The guidebook – Kayaking the North West Frontier. Darren Clarkson-King has spent over 16 years exploring rivers across the Himalaya in Nepal, India, Bhutan, Pakistan and Tibet. 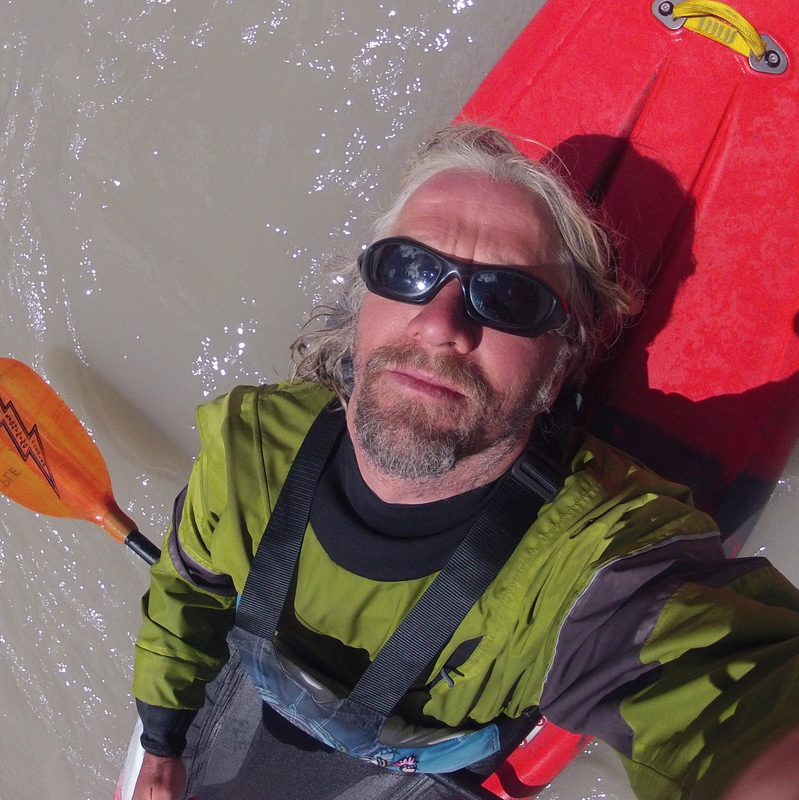 He has also kayaked in Europe, Canada, Alaska, Thailand and Morocco. He has Countless 1st Descents, and numerous note worthy Solo descents to his name. 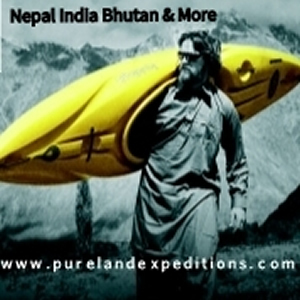 He is Owner and Head guide of Pure Land Expeditions, working directly with N.A.R.A, the Ladakh Tourism Authority and Local Kerala Government to promote safe adventure sports and safe working practices.